So, you’ve unboxed your brand new Casa Node and synced the latest blocks. You’d like to try out the Lightning Network, but you need someone to make a channel with. Like a sherpa guiding you through the dangers of Everest*, Casa is here to help. 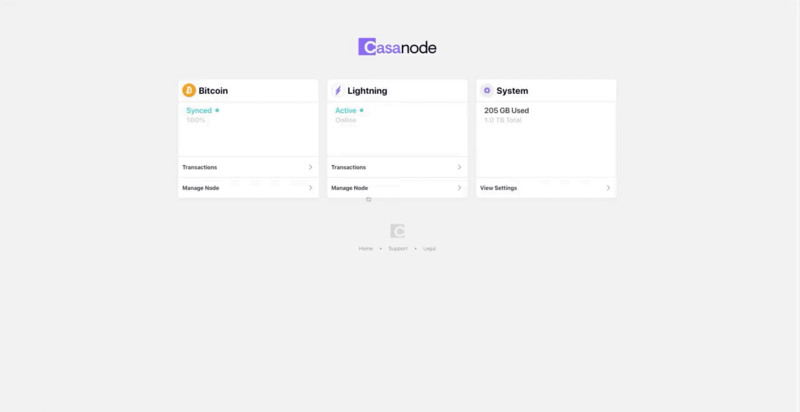 Send some BTC to your Casa Node via the Transactions panel. 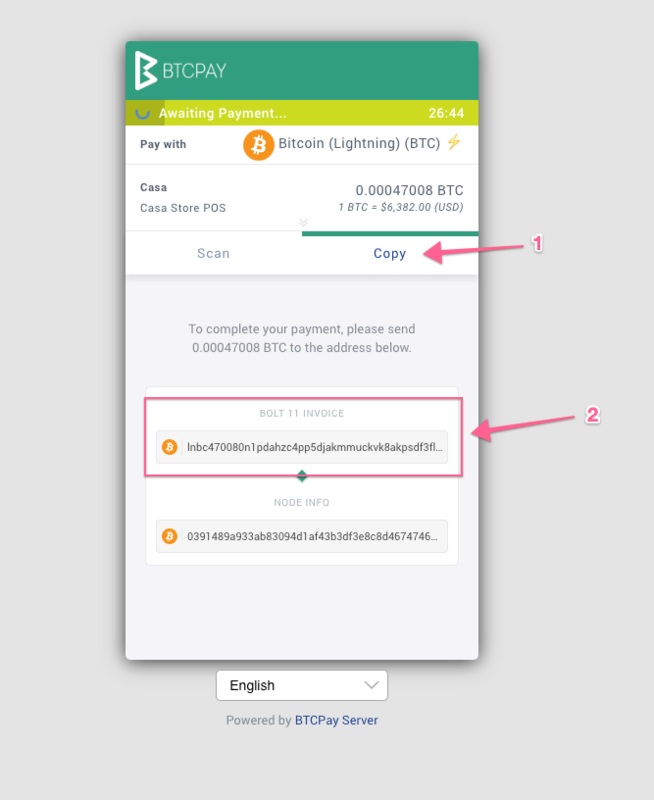 After your transaction confirms, you can open your first Lightning channel. 2. Click on “Manage Node” for your Lightning Node. Then click on Custom Channels. 4. Once your channel confirms (it requires an on-chain transaction), head to the Casa Store and buy one of our $3 stickers. It’s a $3 ticket to #RideTheLightning — worth it. 5. 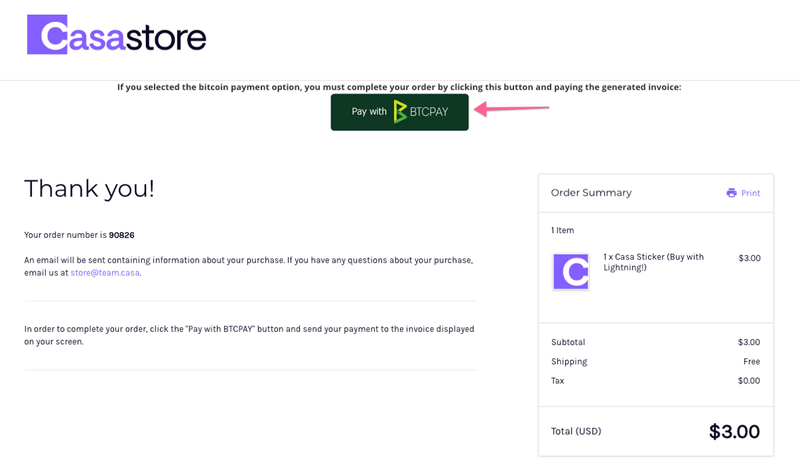 Make sure you select Pay with Bitcoin during checkout, then click the BTCPay button on the confirmation page. We’d recommend opening some more Lightning channels via Autopilot. You can set the channel size and number of channels you’d like to open, and Autopilot will handle the dirty work for you. These settings are available from the Lightning “Manage Node” page. The more channels you have open, the more likely you are to successfully route a payment. Autopilot is useful for opening those channels without having to do it manually. I think my payment is stuck. What should I do? A successful transaction should be finished almost instantly, so you’re not crazy for raising an eyebrow if that doesn’t happen. To know whether your payment failed or is stuck, you can simply look at your balance. 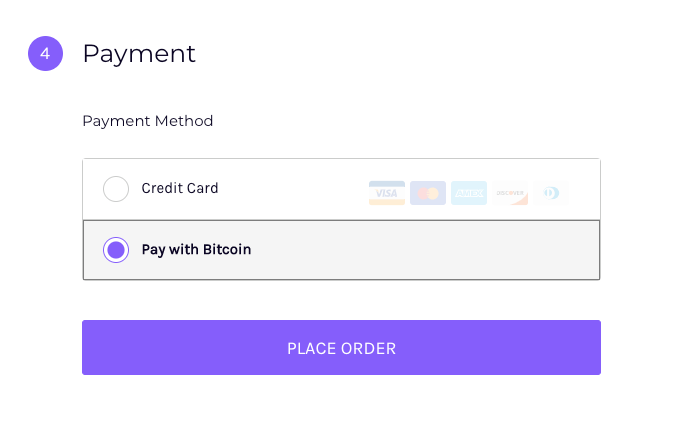 If it failed, your balance will be the same as before the payment. If it’s stuck, the amount of the payment will show as deducted from your balance, but won’t be listed as a sent payment. In either case, the cause is usually a lack of liquidity in channels between your node and the recipient. It’s possible that one of the hops was halted by a power outage, or that particular node fried, but these instances are pretty rare. The best course of action is to wait until the timelock** expires and your funds are returned to your node. This can vary, but is usually about 144 blocks, or ~1 day. It’s probably not necessary to reevaluate your connections unless you’re experiencing multiple failed payments. That’s it! We’ve worked hard to make Lightning understandable for everyone, and we’re excited to get more people on the Lightning Network. If you have any questions, check out our Casa Node FAQ or shoot us an email at help@team.casa. *This is much less dangerous than Everest. It’s actually not very similar at all. Still cool though.